The Pacsafe Travelsafe 3L GII Portable Safe is a portable safe that you can carry anywhere. This compact safe is lockable with enough room for your valuables while travelling. It offers eXomesh® Slashguard which protects your gear from a quick slash-and-run theft. The safe is made from 900D polyester twisted which is cut-resistant, tearproof and water repellent keeping your valuables safe from damage. The TSA 3-Dial Combination Lock provides extra security while you are travelling or are on an adventure. So keep your accessories safe and organised in the Travelsafe 3L GII Portable Safe and secure your valuables while travelling anywhere. 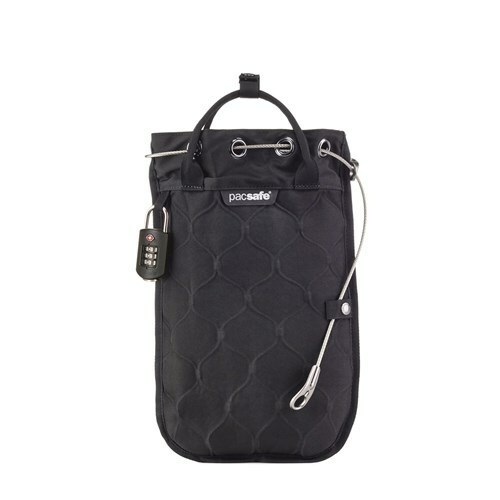 The Pacsafe Travelsafe 3L GII Portable Safe - Black has many exciting features for users of all types. 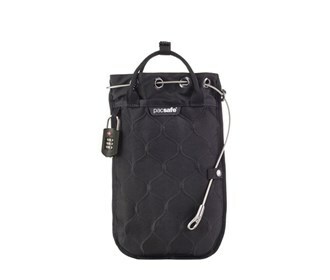 The Pacsafe Travelsafe 3L GII Portable Safe - Black is sold as a Brand New Unopened Item.